Anyone who aspires to become a serious investor must be versed in the language of accounting. Fluency in accounting is a necessary prerequisite to understanding a company's financial position. Without accounting knowledge, an investor can still get by, but risks making valuation errors that can result in serious mistakes. Even something that appears as simple as a company's current cash balance, which is found on the first line of the balance sheet of most companies, is not always as it seems. As an example, consider KSW Inc, a stock that has been previously discussed as a potential value investment. Understanding the true picture of a company's cash position is not limited to reading the first line item of the company's balance sheet. This is because the company may actually have shared cash accounts that are not included in this number. We've already recently seen a couple of cases here and here where companies own significant equity in valuable companies. Because of the system employed to account for this ownership (the Equity Method), the carrying value of these interests can far understate the market value of such interests. In KSW's case, the company lists a cash position of about $17 million (including "marketable securities"). But hidden from the balance sheet is the fact that the company actually has a 50% interest in a joint venture (accounted for using the Equity Method) which has $4.6 million in cash. KSW's share of this balance represents almost 10% of the company's entire market cap! Of course, there are likely to be liabilities associated with this joint venture company. But according to the company's notes to its financial statements, the company expects to receive significant earnings from this JV, and has already received a few hundred thousand dollars worth of cash from it already. Furthermore, to ensure that the JV has enough capital, KSW and its partner have been billing the JV only for the costs of services provided; therefore, future profits and their associated cash flows are likely to come. Most market participants care not for a company's cash balance; instead, they are focused on the company's earnings level one or two quarters out. But investors who view stocks as if they are claims of ownership in a private business understand the importance of a company's existing cash balance. Cash can stabilize the business through rough times, help the business invest in its future, or even be paid out to shareholders. As such, an understanding of a company's true cash position is necessary and important for the value investor. Martin Whitman founded Third Avenue Value Fund some twenty years ago. Over that time period, the fund has beaten the returns of the S&P 500 by several points annually. 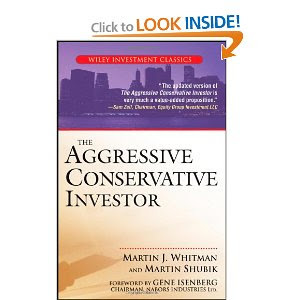 In The Aggressive Conservative Investor, Whitman collaborates with Martin Shubik to discuss a concept that they call "safe and cheap" investing. In this, the final chapter, the authors discuss some case studies and examples where investors could have made large profits by taking advantage of public companies undergoing asset conversion. To make money in the market, investors needn't invest only in companies where asset conversion is taking place. Using the "financial-integrity" approach described in the rest of the book, outside investors can earn quite satisfactory, market-beating returns by investing in conservatively capitalized, sound businesses purchased at low prices (based on long-term valuations). If the purchase price is lower than net asset value, even an average return for the company should produce above-average returns for the investor. The above approach, however, is not for everyone. Activists don't stand back and wait for value to be recognized in prices, they force asset conversions to make it happen. The authors describe a few scenarios, using case studies, where outside investors could capitalize on situations where aggressors were intent on forcing market prices upward. The examples where asset conversion activities can be foreseen fall under a few categories. One category involves more aggressive employment of existing assets. The authors describe a situation where a group purchased control of a company at a discount to net assets, and then subsequently sought to borrow against those assets in order to expand. The shares were available to the public throughout this process at even lower prices than the shares which were purchased by the control group. Another category of potential opportunity lies in the area of mergers, acquisitions and going private transactions. In the cases the authors describe, it was clear that catalysts were at play that would have allowed the investor following the SEC filings to understand that asset conversions were taking place. Still, the investor was able to buy securities at prices well-below reasonable assessments of value. This chapter explores the topic of investing in companies that are losing money. The authors argue that while conventional wisdom suggests buying the stocks of only high-quality, profitable companies, the investor will often overpay for these issues because of their popularity. On the other hand, many pricing advantages can be found among issues where losses have been sustained, but where there is reason to believe they will not persist. There are a few ways that gains can be realized from companies in loss positions. There can be an improvement in the utilization of assets (perhaps through new management), or there could be an asset conversion which releases resources, with the proceeds accruing to shareholders. Another way value can be unlocked in a losing company is through tax losses. The authors detail an example where a profitable company was able to buy a money-losing company at a bargain, improve its operations, and finance expansion with tax losses that would have otherwise had to be paid. However, the authors warn that the benefits of tax gains should not override the other components of an analysis of a losing company, for tax losses are not worth much if losses persist. The reader is asked to note the difference between economic losses and accounting losses when analyzing a company. A firm may take a large accounting write-down in order to make future profits look high, but this is simply an accounting ploy. An exception to this can be in the banking industry, where rising interest rates force banks to take losses on loan portfolios, only to see the banks then use the proceeds from loan repayments towards higher-interest earning assets. Here, a loss in the present does lead to future gains. The topic of this chapter is dividend policy. The authors make it clear that they believe an appropriate dividend policy is based on the needs of the business rather than the needs of the investor. There is a prevailing mindset that companies should pay out based on how shareholders view the shares; if the stock trades at a low (high) P/E, the company should have a high (low) payout ratio. The authors take issue with this, as they argue that there is no empirical evidence to suggest investors accurately gauge the growth prospects of a business. Instead, companies should invest where they see opportunities for above-average returns, and return the rest to shareholders. A discussion of stock dividends and in-kind dividends is also presented. Stock dividends are mostly considered useless, except for the few companies that need to constantly raise capital. For them, the increase in share price that results from a consistent dividend (even if paid in stock) is valuable to the firm. In-kind dividends (for example, dividends have at times been paid in whiskey or chocolate) are unpopular because they trigger a taxable event, and yet no cash is provided to help pay that tax. The authors also discuss share repurchases, which they view as similar to cash dividends with a few advantages and disadvantages. A benefit of repurchases is that shareholders are taxed as if the income was attained through capital gains. A further benefit is that investors get to choose when the cash is withdrawn, and therefore when the tax is paid. Finally, the value of shares can be enhanced if the shares were repurchased from weak hands at favourable prices. On the other hand, share repurchases do have their downsides. They are legally more difficult to effect, they can reduce the liquidity of shares outstanding, and they are subject to manipulation activities by management. For example, an insider looking to sell his holdings can do so with the company's money. Or, a manager looking to take the company private can first reduce the share count at the expense of selling shareholders. Saj: Can you believe there are people who actually want Donald Trump to be President? Frank: Maybe the same people who have invested in some of his bankrupt businesses, hoping he will one day be in a position to pardon some of his own business decisions? Saj: If he runs, it's great news for Sarah Palin. She's no longer the biggest comedic target in politics. Frank: Palin goes from being the biggest laughing stock in the party to "wow, she makes a lot of sense compared to that guy who keeps going on and on about how great he is"
Saj: Alas, unlike Palin, Trump doesn't seem able to laugh at himself. He sits there stone-faced while parodied at the White House Correspondents' Dinner. Frank: Though Obama finally got some chuckles out of Trump after showing a video of Obama's birth. Saj: So value manager David Einhorn buys a stake in Yahoo!, claiming its Asian assets are worth much of its market cap. But then we find out one of those Asian assets was "transferred" out of the Chinese company Yahoo! has an ownership stake in (Alibaba), sending Yahoo! shares down almost 10%! Frank: So it's not just small investors...Even conglomerates are losing their shirts investing in Chinese companies! Saj: Maybe Yahoo! should hire Kerrisdale Capital to see if Alibaba even exists. Frank: "We at Kerrisdale visited Alibaba's headquarters in China and found a bunch of empty offices"
Saj: "We then tried to buy a product from Alibaba.com but they wouldn't take our credit card"
Frank: So China's got an inflation problem, suspect business practices, a massive government that gets involved in the private sector, and a bunch of ghost cities. "...Glendale Mayor Elaine Scruggs and a majority of city councilors successfully argued the costs of losing the team would be more damaging than the $25 million expense incurred to keep them for one more season. Though there was precious little evidence presented to back up that claim..."
Frank: So hockey teams are owned by billionaires, who employ millionaire pro-athletes, and yet the team is getting bailed out by some of the poorest citizens in the country? "Jean Charest's government recently announced a $58-million loan guarantee to keep [the Jeffrey Asbestos Mine] open." Frank: "Hey, sometimes the private market fails. If the private market doesn't think it's economical to pull poison out of the ground and sell it to 3rd world countries where it's still legal, then the government has no choice but to step in"
You're not going to nail every investment. The odds may not be on your side (even if you think they are, which is why you invested) or even if the odds are on your side, your investment can still be derailed. But thanks to the all-important margin of safety, you can still do allright even if things don't go as well as you expected. As an example, consider Audiovox (VOXX) which had been on the Stock Ideas page for 1.5 years. The company was a perennial earnings under-performer, relegating it to a low price-to-book market valuation. Investors were offered the company at a large discount to net current assets, so if all the company did was sell its inventory, keep expenses reasonable and return cash to shareholders (not exactly high hurdles), shareholders would make out very well. While the company was able to accomplish the first two of those requirements successfully, it balked on the third, opting instead for an empire-building acquisition that converted cash into potential future earnings. An event of this nature was certainly a risk, as this was a situation where a shareholder controlled the company without having to put up the capital commensurate with such a stake, thanks to a dual-class share structure. As previously discussed, this share structure can result in poor results for non-controlling shareholders. But because of the large margin of safety on this investment over the last couple of years, shareholders who bought in at a discount to assets didn't get burned on price. They may have felt like Audiovox's business value dropped, but its market price has actually increased as the shares were far too cheap. So despite a continued poor operating environment, sub-par returns on capital, and an acquisition binge, shareholders in Audiovox still generated double-digit returns over the last 1.5 years. Speculators, traders, and other short-term market participants aren't buying businesses. They are buying expectations. Just like value investors, they can be right in their assertions or they can be wrong. But the nature of short-term speculation is such that one cannot employ a margin of safety, whereas that is the value investors greatest advantage. The margin of safety can cause value investors to be right even when they are wrong. Warren Buffett has stressed many times that investor focus on quarterly earnings beats/misses is bad for both investors and companies. Rather than focus on the long-term, managers with such shareholders are implicitly encouraged to take all sorts of actions (e.g. cutting R&D expenditures) that increase short-term earnings at the expense of the company's future. At last year's Berkshire Hathaway annual meeting, Buffett pointed to a study (titled "Quadrophobia") that provides statistical evidence that suggests that the focus of management on short-term earnings is rather pervasive. GTSI Corp (GTSI) is a troubled company that is losing money and that operates in an industry with a weak outlook. These three items are a recipe for a beat-up stock price. But troubles don't last forever and costs can be reduced, so for value investors with a long-term perspective, GTSI may be a stock with strong upside potential combined with limited downside risk. GTSI is an IT product re-seller that trades for $45 million despite net current assets of $67 million. But the balance sheet attractiveness doesn't end there, as the company has long-term receivables of $5.5 million and an equity investment in a company called Eyaktek carried at almost $12 million. This carrying value is likely an underestimate of this investment's fair value, as equity income from this investment in 2010 and 2011 Q1 was almost $8 million and over $1 million, respectively. Furthermore, following a dispute with Eyaktek's majority owner, it is quite possible that GTSI will sell its stake in this investment, which could turn this long-term asset into cash. Of course, there's a reason this stock trades at such a large discount to its assets, so it's worth understanding whether the risks to this company are temporary or long-term in nature. First off, GTSI relies on various US government departments (mostly federal) for virtually all of its revenue. Considering that the US federal government deficit is huge and unsustainable, it is quite likely that revenues will take a hit in the coming years. So the question is whether GTSI can reduce its costs, if necessary, such that it can still be relatively profitable should business turn south. To a large extent, GTSI operates on contract, which gives it some visibility into future revenues. This should help management align costs and revenues appropriately. Furthermore, most of the company's costs are in the form of re-sold hardware (from vendors such as Cisco, Dell and Microsoft etc. ); clearly, these are variable costs. Finally, the company does not have any onerous recurring obligations. The new management team has also shown a willingness to cut costs when revenues aren't up to snuff, as evidenced by the more than 10% reduction in staff that occurred last month. Having said that, that doesn't mean the company's earnings can't be negative over the coming quarters. Costs almost always fall only after revenues have already fallen, resulting in periods of negative earnings while cost cuts have yet to take effect. Furthermore, the company's continued involvement in a government investigation into its practices could not only result in fines, but will reduce customer interest in GTSI and add to costs, as the company complies with a new agreement with the government. Continued litigation with the parent of Eyaktek could also be costly, but hopefully the new management team is able to strike a successful deal on that front this quarter, as was hinted to in the company's latest conference call. While the earnings over the next little while might be poor, they shouldn't meaningfully reduce the company's asset margin of safety. This is not an earnings play; rather, shareholders are purchasing assets at a discount. These are assets that should become free (to distribute or employ productively) if revenue shrinks. As such, the downside appears to be protected while the upside potential (from a distribution of capital, company sale or productive deployment of assets) is high at the current price. The foreclosure process is lengthy and expensive. Governments have enacted laws to protect home owners and their tenants to some extent by making sure the process is dragged out. As with all laws, however, there are unintended consequences. Making foreclosure a difficult process reduces the impetus to lend money in the first place, which has likely reduced the liquidity that would otherwise be available to a number of responsible borrowers. But one company in this business recently engaged in a transaction that appears to simplify the process rather significantly! Manhattan Bridge Capital (LOAN) provides short-term commercial loans, and is a stock that has been *previously discussed on this site as a potential value investment. "On March 21, 2011, the Company purchased three 2-family buildings located in the Bronx, New York for $675,000, including related costs, and sold to the seller a one year option to buy back the properties. The buy back option was sold for $3,900, plus a monthly fee of $10,530 payable to the Company by the option holder for the life of the option. We believe that the option holder will exercise the buy back option within the next 3 to 12 months." This is essentially a loan; the monthly fee can be considered interest, and when the buyer exercises the option, he will really be paying back the loan. But with this structure, if the borrower defaults, Manhattan Bridge just gets to keep the property. No lengthy foreclosure process involving 6 families and a property owner is required! Loans secured by real estate offer some downside protection for the investor. But in Manhattan Bridge’s case, the investor is offered the opportunity to purchase such loans at a large discount. While the company does not earn a great return on its net assets at the current time, the company is attempting to scale its operations so that it can begin to earn a decent return. In the meantime, investors who buy at a discount to net assets do get a decent return for the price they are paying, along with the downside protection and upside potential that comes from buying a loan portfolio at a discount to face value. The authors now discuss the role of dividends in security analysis. Firm dividend policies are difficult to determine because they assume all shareholders are of a single mind, whereas various shareholder groups will have different preferences. For example, some shareholders no doubt rely on their portfolios for income, and thus high payout ratios would be their preference. On the other hand, other shareholders may prefer tax-sheltered earnings, where the company re-invests its profits and grows its worth over time. The authors take issue with how dividends are often used to value a firm. The Dividend Discount Model (DDM), as it has come to be known, postulates that a firm is worth the present value of its future dividend payments. While useful in theory, however, the authors argue that a much more practical model would include all cash that may be received as a result of the investment, including proceeds from the sale of the stock to increased borrowing capacity. An example is discussed where a dividend stock is purchased on margin, but where the dividend is safe, and enough to pay the interest charges on the borrowed money. Graham and Dodd argued that stocks with higher payout ratios tend to trade at higher relative prices. Whitman argues that this does not demonstrate the superiority of dividend stocks, as once again the investment preference depends on the investor's circumstances. To an investor relatively indifferent to the dividend, this would make low dividend stocks attractive (due to the lower prices) as in the future the price may rise from a change in payout ratio, or the company may have higher earnings (as a result of re-investment) from which to pay out. Though Graham and Dodd rightly point out that all too often, firms with low payout ratios often squander the earnings in investments that don't generate adequate returns on capital, Whitman points out a few examples where firms kept their payout ratios too high whereas they should have been investing in their businesses. Dividends also play an important role when a public company is majority-owned by another entity. Minority shareholders can profit from either mop-up transactions where the parent pays a premium price to take the company private, or from situations where the parent company needs the cash and therefore dividends must be paid from the subsidiary to all shareholders. This chapter is all about earnings. Consistent with what has been written thus far in the book, the authors immediately dispel the primacy of earnings. The authors argue that companies add wealth in three ways, of which earnings are only a component. Firms also add wealth through unrealized appreciation and through the realization of this appreciation. Of the three methods of wealth accumulation, the authors argue that earnings are the least desirable, to the extent that earnings are the least tax-sheltered of the three methods. In private companies, for example, owners will tend to show low earnings (in order to lower taxes) even though wealth may be growing. The authors use the term "earnings power" to describe the wealth earned from all three methods, of which earnings only constitutes one such method. The authors also dispel the notion that earnings can often be used as a predictor of future earnings. They believe assets are a better indicator of future earnings, and describe a couple of examples where either high returns on assets were unsustainable (and thus earnings were a poor predictor of future earnings) or where low returns resulted in asset conversions or changes at the company that raised earnings to a rate commensurate with the company's assets. But assets and earnings aren't unrelated. For many firms, retained earnings constitute a large portion of the company's assets. As such, firms that have strong earnings histories will also have high levels of assets. The authors don't believe that investors can be single-minded about whether they look at a company's assets or its earnings power. Most securities in the investor's portfolio should be strong on both counts. Shareholders often ultimately judge company managements by how well they generate returns on capital. For example, two companies may generate net income of $2 million, but if one required $10 million of shareholder capital to do it while the other required $100 million, the former company's management team will be lauded while the latter may have its job on the line. But in investigating a company's return history, shareholders must keep in mind the effects accounting standards can have on the results. In some industries, accounting requirements can seriously skew calculations such as ROE and ROIC, making several industries look more attractive than they otherwise are. For example, consider a company in an industry where capital expenditure requirements are low, but research and development (R&D) requirements are high. (These properties are common in software development companies or pharmaceutical companies, for example.) Because of how GAAP works, R&D spend is expensed as incurred (i.e. expensed immediately), in contrast with investments in say equipment, which are capitalized and expensed over several years. There is nothing wrong with these accounting policies. Conservatism dictates that R&D cannot be capitalized (i.e. placed on the balance sheet) because the benefits from R&D are difficult to estimate. But spending on R&D is still an investment, with risky returns that could be several years out, just like a capital investment. But consider how this accounting practice affects the companies that fall under the above category. Because these investments are not capitalized, the book values of these companies are lower than they are for companies in industries where investments are capitalized. As a result, returns look better in some industries than they do in others, but only because of the accounting. Suddenly, the returns look a lot more average! If we then capitalize R&D over a period of more than three years, which is not unreasonable considering the amount of time it takes a newly developed drug to get to market, returns are even lower. When an investor is considering firms in the same industry, these industry-specific attributes will of course weigh on all firms. But for bottom-up value investors who look for value across industries, recognizing the role that accounting plays in determining return-on-capital metrics is of the utmost importance; it will result in more accurate comparisons of profitability in companies separated by accounting standards that treat various investments differently. The following is a sponsored post, paid for by MCW Energy Group. Content was provided by MCW Energy Group. The site's author does not own any MCW Energy Group Securities. MCW Energy Group (“MCW”, “the Company”) is a Canadian holding company with two principal portfolio companies, a fuel distributor based in Southern California, and a break-through oil sand recovery venture with operations in Utah. MCW is a public company trading on the on the Frankfurt exchange under the symbol MW4. • MCW Oil Sands Recovery LLC (“MCWOSR”) which will produce and sell oil extracted from oil sand reserves under lease in Utah. 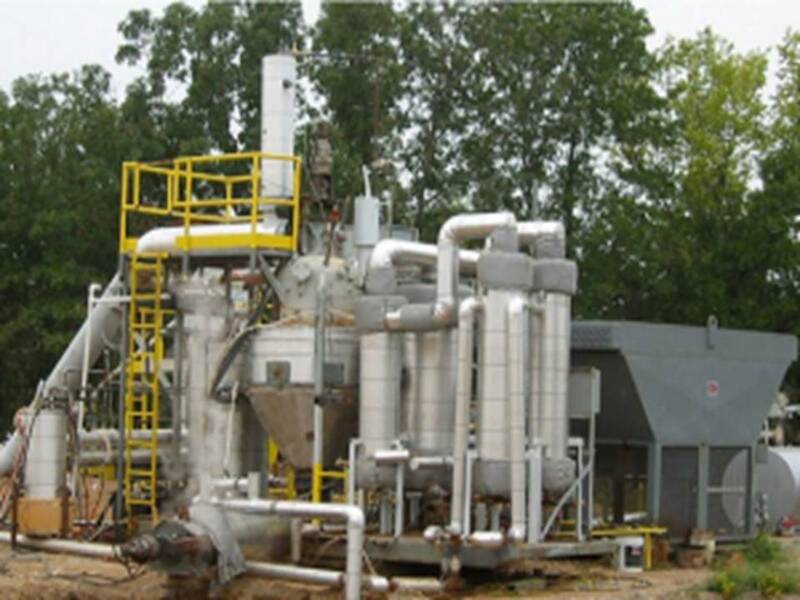 The Company combines a steadily-growing fuel distribution business with an emerging, oil sand technology and extraction business. Based on conservative projections of oil pricing as well as operating costs, MCW’s oil sand recovery economics are attractive. Management anticipates that the oil sand operation will add significantly to MCW’s projected revenue and EBITDA growth, beginning in 2011. Beyond these positive economics is a key strategic rationale for combining the two businesses: fuel distribution is an intensely competitive industry. While MCW’s fuel distribution business has certain advantages over competitors, profit margins are thin and prospects for growth are essentially limited to the growth rate of the overall economy. However, as a producer of oil MCW becomes a supplier to the integrated petroleum companies that wield significant power over the much smaller regional distribution companies, including McWhirter Distributing Company. By having steady access to a supply of oil and control over the pricing, MCW believes it will be able to negotiate contractual terms that provide advantages on the distribution side of the business. Disclosure: The above is a sponsored post, paid for by MCW Energy Group. 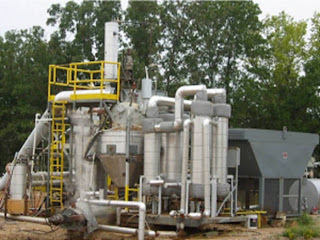 Content was provided by MCW Energy Group. The site's author does not own any MCW Energy Group Securities. Audiovox (VOXX) has a pretty poor earnings record since new management took over in 2005. Returns on capital have been consistently negative or in the low single-digits. As a result, the stock is pretty cheap on an asset basis; Audiovox's market cap is seemingly substantially lower than the company's net current assets. In the company's latest financials, released earlier this week, Audiovox lists current assets of $340 million (including $100 million in cash) against total liabilities of $110 million, giving the company net current assets of $230 million. Yet this profitable company trades on the open market for just $165 million. This discount is the main reason Audiovox appears on this site's Stock Ideas page. But Audiovox's latest financials are misleading. Just one day after the end of the company's fourth quarter (how convenient! ), the company closed on a transaction that materially alters the company's balance sheet. Of course, we cannot know what will happen in the future. Audiovox may thrive and add synergies and all sorts of great stuff. But right now it looks like a risky transaction for shareholders, as Audiovox paid a P/E multiple of around 20 and a price-to-tangible-book-value of 4 when it could have returned a meaningful amount of cash to shareholders. Chairman: "Aren’t you happy now that we did not do a distribution of cash or buy back stock all these past years, as you had been pressing me to do?" Diligent investors spend the time and effort required to vote their proxies responsibly. But when it comes to electing directors, the game is rigged against the shareholders: even when the majority of voting shareholders votes against a particular director nominee, the policy of most companies is that the nominee becomes a director regardless! Consider GTSI Corp (GTSI), a government contractor that has been discussed on this site as a potential value investment. The results of the company's Class 2 directors are in, and they aren't pretty. "In the election of directors, votes may be cast in favor or withheld with respect to any and all nominees; votes that are withheld may be excluded entirely from the vote and will have no effect on the outcome of the vote." In other words, there's no reason for shareholders to vote, since the proposed slate of nominees will win the election no matter what! This process is deemed the "Plurality Vote", whereby the candidate with the most votes wins the job. But this system is designed for scenarios where there are multiple candidates running for limited posts. But in director elections, a company will usually put up for election the same number of nominees as there are positions. This can lead to a situation where only a single "for" vote (even if 99% of shareholders vote "against" or vote to "withhold") is needed to elect a director! There are some who argue that reforming this system would do more harm than good, however. Certain directors may be very important to the company, and so losing them would leave the company worse off. But can't this be explained to shareholders in the proxy, with shareholders being given the final say? After all, directors are the shareholders' representatives. Another argument against reform is that the loss of a director could trigger a change in control or another undesired event. For example, if a director is not elected, the company may not be in compliance with rules regarding the number of independent directors. But a growing number of companies have started to adopt more shareholder-friendly policies that protect for such events while at the same time giving investors their say. For example, Pfizer, Intel and a slew of other large companies have in recent years adopted standards that would see a director offer his resignation if there are more "against" than "fors". The company would then decide to either accept or reject the resignation based on any mitigating circumstances (e.g. a failure to meet minimum independent director standards). For most companies, director elections are still a farce. Slowly, the tide is turning as companies shift towards a policy that leads to a director resignation if there are more "withholds" than there are "fors". In the meantime, investors who make the effort to vote may be wasting their time. Usually, value investors will want to invest alongside management. If management has skin in the game, the thinking goes, their interests will be aligned with those of the remaining shareholders. But it doesn’t always work that way. Sometimes, management’s motives, despite high ownership levels, are not financial. Managers may seek to grow in importance and reputation by presiding over larger, more recognized firms. This may be occurring at Vicon Industries (VII), a company that has been discussed on this site as a potential value investment. Since the recession, the company’s stock has consistently traded at a significant discount to its net current assets. But despite a cash hoard of $14 million against a market cap of just $21 million, the company pays no dividend and has been agonizingly slow to buyback shares; in all of 2010, the company bought back just $850,000 worth of stock! Further management apathy appears to be taking place in the company’s operations as well. Despite a downturn in the company’s industry, Vicon’s expenses are higher now than they were a year ago. 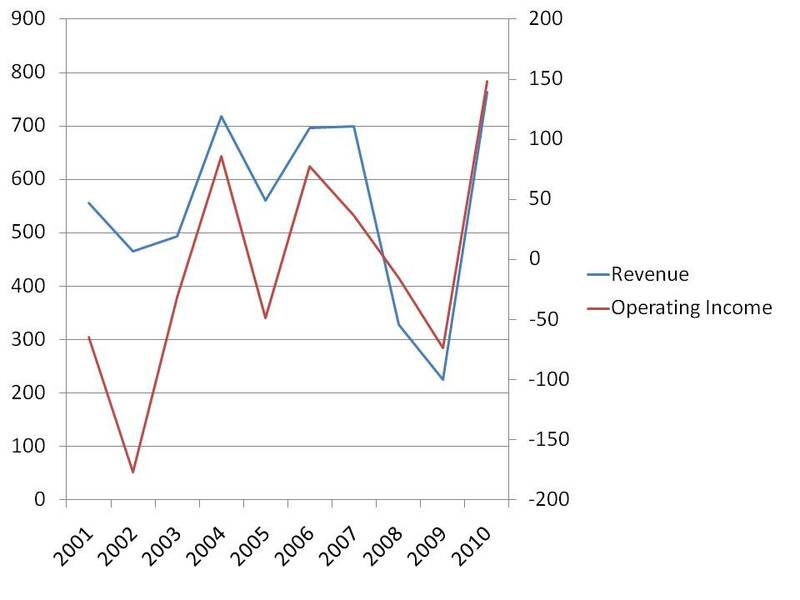 Instead of cutting costs to align expenses with revenues, the company continues to lose money. “[We] believe that [Vicon] is retaining an excessive amount of liquidity on its balance sheet for no apparent reason, that its shares are materially undervalued due, at least in part, to this unproductive retention of capital..."
As noted by Frank, this could be the start of a process that allows shareholders to finally benefit from the company’s value. Unfortunately for outsiders looking to influence management’s actions, however, the company’s executive team owns almost 18% of Vicon. In this case, it might be better for shareholders if insiders did not own such a significant percentage of the company! No factor about a company (whether it has low or high margins, low or high returns on capital, or low or high management ownership) can be viewed as a positive or a negative in isolation. Rather, each factor must be examined within the context of the entire company. In this particular case, management ownership does not appear to be resulting in actions that benefit shareholders. As such, shareholders may benefit from the actions of activist outsiders who are seeking a remedy to the company’s languishing share price, but management may still stand in the way. This chapter is about the value and limitations of a company's net asset value. Also known as book value, net asset value doesn't get a lot of respect in most market circles, as most analysts focus on earnings. Outside of the market, however, book value is often used as an important variable in determining a business' worth. Investors would do well to put as much emphasis on this number as they do on a company's earnings. For one thing, a company's earnings and its book value are correlated because a company generates earnings from its resources. The authors also show how companies trading at high (or low) P/E ratios tend to also be trading at high (or low) P/B ratios. This relationship is obviously not perfect, but the point the authors make is that earnings change rather quickly, which can result in a dramatic change to a stock price, whereas by its nature a company's book value usually changes very slowly, and can therefore often be a better guide to a company's intrinsic value. In judging a company's worth, investors should consider the quality of a company's book value. In the authors' opinions, there are three items to consider when evaluating the quality of a company's assets. First, the investor should understand to what extent the assets are free of encumbrances. Assets have maintenance requirements, may incur legal liabilities, and could have debt taken out on them for example. Secondly, investors should consider how useful the mix of assets are in producing earnings and cash flow in the future. Good operations create high-quality assets and are likely to contribute to a company's strong financial position. Finally, the nature of the assets must be considered. Are the assets liquid and such that they can be sold quickly for their carrying values? Are the assets flexible, such that if the company has no use for it, they would be of use to another business? Can the asset be separated from the going-concern without affecting operations? Though book value is important, the authors note that this measure does have limitations. For one thing, it's an accounting number, so its usefulness is subject to the limitations of accounting. Furthermore, while it's the quality of the assets that is most important, the book value only produces a quantitative number. Lastly, a company's book value is useless on its own, as it must be compared to other objective and subjective information about the company. This chapter continues the theme of the last chapter, where a number of company and securities attributes are discussed, with the idea that on their own each attribute is neither a positive or a negative. In proper context, however, each attribute can both be quite positive or quite negative, depending on the circumstance. For example, high debt loads are sometimes viewed as risky and negative. On the other hand, they can also be a sign of management employing a cheaper source of capital (e.g. in a safe, stable utility company for example) or a result of management having re-invested in the business to stay ahead of the competition. Another attribute discussed is management incentives. Obviously, some level of incentive keeps management focused and aligned with interests of shareholders. However, at some other level, shareholders are simply being robbed, as the payouts simply act as a security that is senior to shareholder claims. Cyclical companies in competitive industries are often shunned by long-term investors. However, in the authors' opinions, these industries tend to attract the brightest management teams. Furthermore, these companies are often capitalized very safely (they must, if they wish to stay alive), and so investments in such companies can actually be safer than investments in what seem like stable companies with poor managements and tons of debt. A number of other attributes with similar positive and negative effects are discussed, including large cash positions, conglomerates vs focused companies, companies going public or private, and the effects of regulation. In the paper they published subsequent to their findings, Penman and Zhang describe the process for determining sustainable earnings. Using only financial statement data, the process eliminates the components of earnings that are suspect (e.g. through reductions in deferred revenue or allowance for bad debt accounts). Companies are then given an S-score, with high S-scores suggesting strong earnings sustainability. The authors then track the portfolio of high and low S-score companies to see how the earnings look several years out. High S-score companies generated higher returns on assets and strongly outperformed low S-score companies in portfolio returns as well. Further information on the methodology for identifying sustainable earnings is detailed in the paper, which is available as a free download here. In a previous post, we discussed the potential pitfalls of investing in companies with poor corporate governance structures. But how can an investor protect himself? There are two basic ways. First of all, the investor can become knowledgeable about what makes for good corporate governance, and then study up on each company in which he is interested in order to make sure it follows practices in accordance with sound corporate governance. The second method is to take advantage of the information published by the companies that specialize in rating and reporting on the governance practices of public companies. Based on how a company is rated in the above four factors, it is given a CGS rating between 1 and 10. A sample report of S&P governance can be viewed here. Turnarounds can be a great source of returns for investors. When the market counts a company out, its shares can trade at extremely low levels, allowing investors the opportunity for tremendous upside potential. The shares may also trade at large discounts to book value, allowing the value investor some downside protection in the form of assets. Duckwall-ALCO (DUCK) may be just such an opportunity. Duckwall-ALCO operates a chain of 200+ retail stores throughout the central US. The company attempts to avoid competition by operating in small towns with populations under 5,000 where no broad line retailers exist. But the company has had a rough go of it in the last few years. Profits have fallen as the company has struggled with its merchandising, causing management to believe many customers are driving some distances away to make their purchases at competitor stores. As a result, the company trades at a price-to-sales ratio of just 0.1 and a price-to-book ratio under 0.5. But things appear to be turning around. A new management team took the helm in early 2010, and they implemented a number of new measures to improve the company. Merchandising was re-organized, technology systems were implemented to better track inventory, distribution centre flow was re-designed, and a line of unprofitable stores was closed. As a result, the numbers have started to improve. Over the last few months, same-store sales are actually increasing, the company's shrink ratio has fallen (and there is still room for significant improvement to the bottom line if the company can eventually achieve industry average shrink ratio levels) and costs have been cut. Investors who buy now may be on the cusp of a turnaround story that drives up the stock price significantly. However, this investment is not for the conservative investor. Downside protection is not as strong as it may appear to be because of the company's debt level. DUCK's recovery is still in its nascent stages, and if it doesn't gain traction, the company's debts will start to pull the company under. Against a book value of just over $100 million, the company has debt and operating leases approaching $200 million. Unfortunately, these aren't short-term leases either, so if things don't go well, the company is still obligated to pay tens of million of dollars per year for the next ten years. Considering the company has had positive free cash flow only once in the last four years, the risk of financial trouble is certainly present. Furthermore, the cash flow that does come out of this business appears earmarked for expansion. Though management has said it may pay down debt with free cash flow, which would make the company safer, it appears clear from their actions that management would rather open more ALCO stores with any money that's freed up from the business. You can't really blame management for this viewpoint, considering their bonuses are based on DUCK's return-on-equity (ROE). The bonuses can be as much as 150% of salaries if certain ROE targets are hit, and nothing increases ROE like a ton of leverage. Unfortunately, it is shareholders who bear the risks of leverage. If DUCK's turnaround proceeds on its present course, shareholders will likely be rewarded enormously. However, there isn't a whole lot of leeway if things turn south. The company's financial position is such that a premature expansion or an economic downturn could raise doubts about the company's future. The mainstream finance industry defines a company's riskiness by its stock price's volatility. For value investors, there is no such short cut; a company's riskiness is defined by a slew of factors that can affect the business. 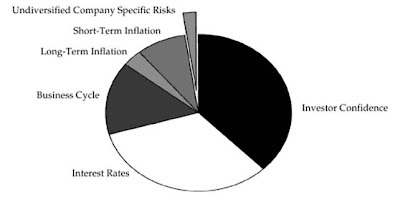 Previously, we have considered some items that can affect risk on the cost side. Today's post will discuss some items relevant to risk on the revenue side. The vast majority of analysts and investors are so focused on near-term results that they rarely think about these long-term business risks; investors who consider these are poised to generate better returns in the long-term. First of all, a company's revenue can have varying degrees of cyclicality. What this means is, during recessions, certain industries are hurt more than others. Conversely, these industries tend to do better when the economy is strong. Nevertheless, there is higher risk involved in a cyclical business, since poor conditions can persist and cause companies to be unable to meet their obligations. For a more detailed discussion of this topic, see this article. Secondly, risk is lower when a company has a "moat" (as coined by Buffett) that essentially protects it from competition. In these instances, revenues are more stable, thereby reducing downside risk. Of course, companies with strong moats are hard to come by. 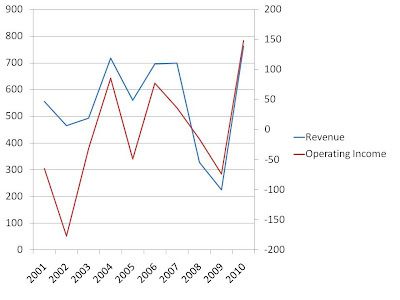 Finally, it's important to understand how persistent current revenues are. Does the company need to keep innovating just to hold revenues steady, or has it already done most of the work? As an example, contrast Walmart with Apple. Apple's earnings are only as good as its latest products, and it must make sure to keep producing products that customers value, which won't be easy over the long-term. On the other hand, Walmart already has a presence where it can sell the products customers value, without having to innovate anew! While it's impossible to predict the future, investors can better protect themselves from unforeseen events by choosing companies which are less susceptible to revenue declines. By considering the factors discussed above, downside risks can be reduced. RadioShack: More Risk, More Returns? For the last few months, RadioShack (RSH) has been trading with a P/E in the mid-to-high single digits, potentially putting it in value territory. One of the appealing factors of RadioShack from a value standpoint is its strong financial position. But that may change, as management appears willing to make a significant bet that the company's share price is too low. Management has reduced the company's share count by 15% in just the last 9 months. Obviously, it eats up a lot of cash to execute such a significant buyback, which has contributed to a large reduction in the company's cash surplus. But management appears undeterred, as it now appears poised to borrow money to further its buyback agenda. "RadioShack intends to use net proceeds from the offering for general corporate purposes, which may include the funding of share repurchase programs." At the current share price, $325 million would enable the company to buy back around 20% of its outstanding shares! But this buyback comes at a price, however, as the company would likely no longer be in a rock solid financial position. The new $325 million of debt would be in addition to the company's $550 million of lease commitments. Traditionally, this may not have been a problem, as RadioShack has been a stable generator of cash, which should allow it to safely carry some debt. However, the company does face some challenges in the future that could jeopardize this position. Consumer purchases continue to migrate online at the expense of bricks and mortar operations such as those of RadioShack. But even in the bricks and mortar space, strong competitor Best Buy (BBY) has decided to move into smaller-format stores, which could directly impact RadioShack in a way that Best Buy's big-box stores never have. On the other hand, however, the secular growth of electronic products appears poised to continue. If RadioShack can continue to ride the wave, share prices today are likely undervalued. Management appears to be signalling its opinion of RadioShack's stability with these buybacks, but there is no doubt that the company's risk level has increased along with the potential for out-sized returns. Many variables attributable to a stock or company can be either good or bad, depending on the context. But the market tends to take simplistic views; long-term investors must consider each of these variables in context, however, and in this chapter is a discussion of several such variables. For example, low profit margins are often cited as a chief reason for avoiding a stock. However, if low margins are temporarily low, they may not be a problem for the long-term investor. Furthermore, slight improvements in productivity will have much larger effects when margins are low, while high margins attract competition. Liberal accounting policies are also seen as a negative variable for many investors. This allows less scrupulous managers the ability to make profits seem higher than they are. The authors describe examples, however, where such companies have been able to use their stock as currency to purchase valuable assets. Low net asset value is another variable that can be either good or bad, depending on the context. While it is true that a company with a low net asset value has the higher return on investment, and is therefore perhaps a more efficient and well-run company, it can also be the case that a company with high net asset value has an opportunity to shed unneeded assets and thus boost shareholder returns in two ways (both through the sale of assets, and through the earnings boost that would accompany a more efficient operation). Investors must not take dogmatic views of company variables. Instead, each variable must be taken in context in order to properly value the enterprise under consideration. Investors must understand the financial realities that are ever-present in the US corporate world. To that end, the authors discuss four factors that drive the behaviour of actors in the financial world. The first factor driving behaviour is tax considerations. Actors will always seek to have control of when a tax payment becomes due and to change to the bracket or type of tax applied that would reduce the tax rate. The second factor has to do with the concept of "Other People's Money". An example of this are deposits that banks accept and the float insurance companies receive from customers. The authors detail an example of how a "promoter" can use other people's money to secure a significant investment without having to use his own money. The authors argue that other people's money can be useful in enhancing returns, but like all financial innovations, taken to the extreme it can also be very destructive. The third factor driving behaviour is termed "Something Off The Top" (SOTT). Every party tries to get SOTT in a transaction, though recipients of SOTT may not feel they are receiving anything undue. Managements often feel that shareholders are getting a free ride off of their work, while shareholders may feel that management receives all sorts of benefits for running the company. Public investors are advised to avoid investing in companies where management has a disdain for shareholders, as they are in a position to grab a ton of SOTT at the shareholder's expense. The last factor is termed the "Accounting Fudge Factor" (AFF). This is where accounting decisions are made (and there is much flexibility to do so) in order to achieve a positive result in one of the other three factors. Shareholders must consider the interaction of these factors when they make their investment decisions. Why Are Business Prices So Volatile? Value investors, of course, not only reject the fact that the market is efficient (for a terrific essay on the subject by Warren Buffett, see here), but also find flaw with the definition of risk. To value investors, risk represents the potential that the underlying business is or becomes worth less than anticipated, and this is often times completely unrelated to a stock price's volatility. Value investors believe volatility could be caused by the market's general level of fear, supply/demand characteristics of various securities at particular points in time, and other psychological factors unrelated to the underlying business. There is absolutely nothing wrong with incentive pay for managers. When done properly, it can align shareholder and management interests such that it helps both parties become rich. Unfortunately, shareholders are not making sure that incentive pay is done properly, and recent news out of SuperValu, a stock with some terrific upside potential, serves as a perfect example. Last week, SuperValu announced an incentive program from 2012-2014 that will see employees participate in increases in the company's market cap. Specifically, employees will receive up to 4.8% of the company's market cap increase! There are a few major problems with this compensation structure. The first is the sheer size of the amount. If the stock price just returns to its 2007 level (so shareholders who have owned the stock over this period would end up with no gain), the bonus payout could be around $250 million. This is more than the company has generated in operating income over the last four years combined! The second problem with this bonus program is that it is largely based on events that are outside the control of employees. Yes, a company's stock price is correlated with business performance to some extent, but over short periods other factors can play a much larger role in determining whether a stock rises or falls. Should managers really be paid (or not paid) as a result of Federal Reserve interest rate decisions, OPEC quotas and/or Chinese economic growth? All of these factors and then some help determine the multiples at which stock prices trade, so it seems silly that employees should be compensated based on things they cannot control. The third problem with this arrangement is the asymmetry of it all. SuperValu shares have fallen some 75% since 2007. That loss was borne entirely by shareholders. But now shareholders are expected to share the "gains" as the company and share price recover. This type of compensation structure results in a misalignment of incentives between shareholders and management and can be destructive to the company. This particular topic has been discussed in more detail on this site before, but the short story is that it encourages managers to take more risks than they otherwise would, because they don't share in downside pain but they make out like bandits when it comes to upside rewards. Most citizens appear to blame the managers themselves for asymmetric, over-the-top and unanchored-to-what-they-control compensation. But can you really blame an employee for accepting a bonus his employer offers him? All workers, from office workers to pro-sports athletes to hard labourers should receive the compensation for their services that market participants are willing to pay. Therefore, the problem lies with the "market participants" that are offering managers large amounts of cash that are only somewhat correlated to company performance. In large US companies (of which SuperValu is a member), ownership of individual companies is rather fragmented across thousands of shareholders. As a result, shareholders elect directors to represent them as the "market participants" charged with negotiating with management. This arrangement sounds great in theory; the problem arises when directors act less like shareholders and more like management. SuperValu's directors appear to fit this bill perfectly. At least a couple of directors own no shares of SuperValu, while the remainder appear to own shares valued at substantially less than their net worths. As a result, its not really their money that the directors are doling out. On the other hand, the average director earns more than $200K annually from SuperValu! Directors also have other reasons to cozy up to management; for example, "directors are eligible to use the Company aircraft for personal purposes...at the direction of the CEO." Perks like these make directors want to curry management favour, rather than perform their duties as shareholder representatives. Because of the fractured nature of ownership of America's largest corporations, this is a problem that is unlikely to alleviate any time soon. Recognizing the structural causes of this issue, however, shareholders need to do more to help themselves. This requires taking director elections seriously and favouring directors with large ownership stakes, as they are the most likely to act in the best interests of shareholders. Six months ago, shares of Lexmark (LXK) fell from $48 to $38 in a single day, following the company's earnings release. The company was subsequently discussed on this site, and though the stock did seem undervalued, there remained a number of risks on the horizon. Last week, however, the stock fell big once again, this time from $38 to $32, as the company missed expectations and guided lower for the rest of the year. At this price, there appears to be a large margin of safety to help mitigate this company's operational risks. "I think one has to be *very* careful about learning lessons from random outcomes...investing is an inherently probabilistic activity...there's a huge impact from the unpredictable and unknowable." The commenter then went on to point out another risky investment that this time did pay off, and made the point that the outcomes of these two cases could have easily been the reverse (i.e. the first stock could have paid off while the second stock failed), based on the information that was public at the time. I think the commenter makes a valid point to a certain extent. The problem with such post-mortems is that even though things turned out a certain way, we cannot know whether this was the result of an unobserved or unobservable phenomenon which skewed the results a certain way. Maybe the reasons for the investment were poor, for example, but the investment still worked out because market prices rose as a result of unforeseen economic events. In this case, the investor would learn a false lesson that may not help or may even hurt his attempt to become a better investor. However, this does not mean studying past investments is useless! If done on a large scale, I would argue that it's the best way to learn how to invest, as it utilizes one of the best forms of learning there is: the case method. Statistical research demonstrating the effect of one or two factors (e.g. the effect of low P/E and/or management ownership on future returns) at a time can be useful, but only by studying many cases where an infinite number of these factors interact with each other can the investor develop his skills at the art of investing. By studying only a handful of cases, the investor could be led down the wrong path due to the effects of randomness. However, the investor need not limit himself to only the handful of cases he has himself experienced. The works of numerous value investors are published and available to all. Investors who take advantage of the many thousands of cases that are out there gain the experiences of seasoned investor veterans. Value investors are always on the lookout for companies which show strong revenue and earnings growth that trade at low earnings multiples. The identification of and subsequent investment in such companies can generate excellent returns for shareholders. But investors must be careful not to be fooled into thinking a company is growing its revenue and earnings when it is instead simply benefiting from cyclical trends. For example, consider Kulicke and Soffa Industries (KLIC), which provides capital equipment to semiconductor manufacturers. As a leader in this space, the company has a lot going for it. Revenue and earnings rose through the roof this year, as customers expanded and modernized their manufacturing capabilities. As KLIC is in the process of moving facilities from the US to Asia, it stands to benefit from cost reductions that could increase profits even more. The cycles in this industry are obviously very intense and rather short, as revenue can double or half over the course of just one or two years, and it can do so several times in a single business cycle! This is because of KLIC's dominant "Equipment" segment, which derives its revenues from the capital expenditures of semiconductor manufacturers. These expenditures, in turn, are based on whether there is a need for industry expansion; if there isn't, demand for new equipment understandably plunges. So while KLIC's recent and forward-looking numbers look great, its operating income has actually been negative over the period depicted in the chart above. Is that really "growth" the company is experiencing right now, or is the company just in a very favourable point in the cycle? Investors should be sure they know the difference before investing in this cheap-looking stock. The assumptions underlying GAAP are discussed in this chapter. The authors believe readers should grasp some of GAAP's hidden assumptions in order to become better users of financial statements. Three major myths of GAAP are discussed. The first is that statements are rigid and codified. But this is not the case, as preparers of statements have great flexibility compared to say preparers of statements for tax purposes. The second myth is that GAAP is all encompassing and can be used to measure all forms of corporate phenomena. The third myth is that GAAP can be made to tell a certain "truth". The authors point out there that there is not a single type of user (even among investors) and therefore all GAAP assumptions require trade-offs that may help one group of users at the expense of others. - favourable or unfavourable contracts with customers/employees/suppliers etc. Furthermore, as the United States economy continually shifts to a more service-based economy, GAAP becomes less useful at measuring value. For example, it is straightforward for GAAP to count a newly purchased piece of manufacturing equipment, but GAAP fails at measuring the value of a group of employees with advanced medical degrees. GAAP also doesn't recognize the fact that few assets of a going concern have values that are independent of that going concern. A new asset can be worth much more than its purchase price (or in some cases, can even have a negative value!) when combined with the assets of the rest of the business. GAAP does not capture the relationship between assets. Finally, GAAP appears to be aimed at the buyer of securities rather than the seller. Because of the "conservatism" principle, GAAP is telling "how bad things can be", and is thus more useful for a buyer of a security. On the other hand, a seller might like to know "how good things can get", but GAAP offers no such symmetry.